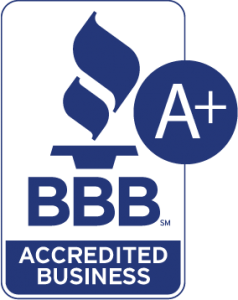 Q-works is the MSP program that is simplifying the IT industry. Quanexus’ complete managed services program means increased performance, security, and reliability at an affordable price. 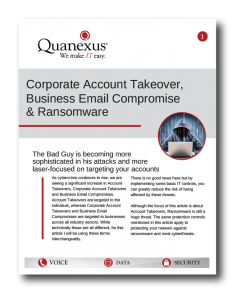 Right away you will see improved security on your system from the layered approach Quanexus takes to keep the bad guy away from your data. System downtime means lack of productivity. Outsourcing your IT needs to Quanexus means less downtime and more productivity. Rather than a costly break-fix model, Q-works allows for IT services to be accounted for in the budget. 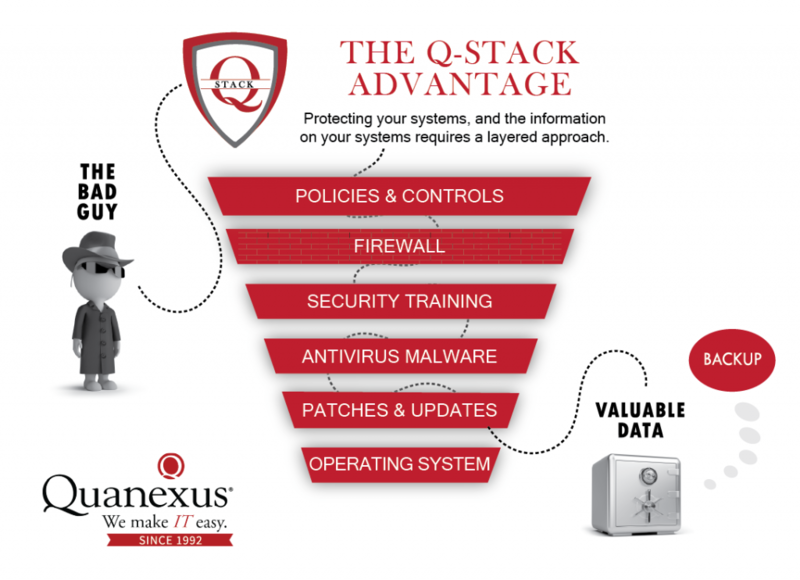 The Q-Stack advantage takes a layered approach to protecting your network and the data on it.